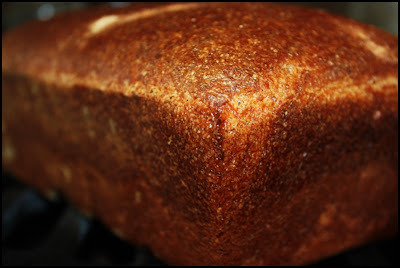 So if you've been to this blog before you know that I like bread. A lot. I enjoy eating it, of course, but I also enjoy making it. I've often said that bread makes itself, that we merely provide the correct conditions and guide it along; I am really fascinated by its process. I'm also really interested in the history of bread and roles it has played throughout civilization and especially religion. Bread is in fact mentioned hundreds of times in the old and new testaments. But what I'd like to touch on here is the Parable of the Leaven (sometimes called the Parable of the Yeast). This is mentioned in both the Gospel of Matthew 13:33, and in the Gospel of Luke 13:20-21. But before I go any further let me say this (as I've said on a few occasions)...I read the bible as almost entirely metaphor. I believe there are stories and teachings in it that can aid us even today in 2013 if we look close enough, but sometimes it is a difficult process...I know it is for me. I am not here to try to preach or tell you what this means, just simply to say what I feel (because I can guess, but I do not know what it means...I can only guess and translate it to my life). Now lets look at the leaven itself (this is where it gets really interesting). But first I have to say a few things about yeast. It is a naturally occurring living organism; a form of fungus, actually. It is relatively dormant until provided the correct conditions. Mainly, the correct temperature, moisture, and food (the carbs and sugars in flour). When it has these three conditions it eats. More specifically it feasts, and on a biblical scale (yes, I see the pun here). As it feasts it gives off gases (don't we all), mainly carbon dioxide but also ethyl alcohol. As these are released they form pockets of air or gas in the dough, and as the yeast continues to eat and give off gas these pockets or bubbles grow, sort of inflating the bread. This is how it rises. But ok, enough about the science of it, back to the leavan...the biblical kind. In biblical times yeast did not look like the spoonful above. It would have been more like the spoonful in the first picture (which today we call a sponge, starter, poolish, or preferment), or the next picture of the ball of dough (which today is sometimes called a biga or in French, pâte fermentée ). 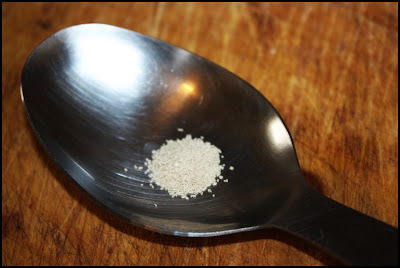 Commercial yeast--as pictured in the spoon above--was not available in biblical times (it's not like they had a supermarket to go to), in fact it was only invented in the last 120 years or so and was likely not readily available for decades after. Now here's the fun stuff. 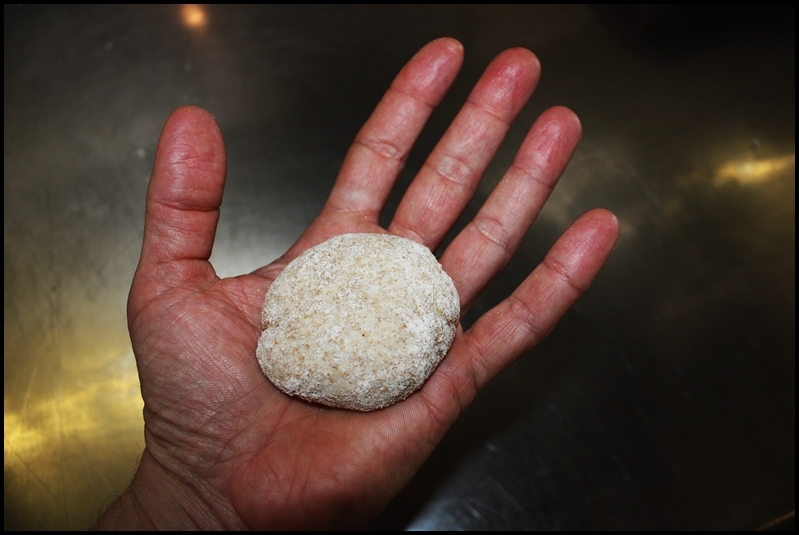 The English word leaven comes from the French levain. The French phrase for sourdough is pain au levain (bread with [natural] leaven). This is also where we get the word for the region of the Eastern Mediterranean (where of course, most of the biblical stories originated), the Levant, which means "rising" in French and is used thus because the sun rises in the east. But the word goes back further; it comes from the Latin word levāmen, which in addition to "raise," it can also mean , relief, alleviation, consolation, or solace. Knowing this--and the meaning of the word parable--offers an entirely different view of this particular parable for me. Lets read it again. Some translations say that the woman mixed a "small amount" of yeast (or leaven) into a large amount of dough. And this is what is often cited when this parable is discussed. But look at the parable again, only this time where it mentions yeast (leaven) replace it with whichever of the original meanings you like...relief, alleviation, consolation, or solace. And she worked it all through the dough. While you're thinking about that, I'm going to keep typing. I wanted to try this for myself. While I do consider bread making a form of solace for me I wasn't sure how to mix solace into the dough, so I used yeast instead. And as the parable insinuated, I used a small amount and let it work (itself) throughout the dough. And in this case, the word yeast could be replaced with faith, I suppose. A small amount of faith, solace, relief, etc can go a long way, and in fact, can work their way through us, sort of creating a heaven-on-earth (ok, now I'm stretching it...but I got you to think). Anyhow, I did use a really small amount of yeast to make the loaf of bread pictured...I used 1/24th of my usual amount (which was 1/8th teaspoon opposed to 3 teaspoons). It rose, as I knew it would, it just took longer. I mixed it before bed and let it rise over night. After waking and preheating the oven, it probably fermented and rose for about 10 hours...sort of like a sourdough (but not really). Anyhow, there it is below, before risen and after. I'm going stop now because this is starting to make my head hurt a little. But I can't halt without one more observation. I really love how Jesus' parables are spoken in such basic terms and using analogies of such common things of his day. But there is always more within (within us and within the parable). What if the women in the story was our creator and we were the dough...Mother Universe kneading a small amount of consolation, relief, and solace into us and she/he (our genderless Source) wants it to grow and raise (leaven) us up to be full of compassion for one another. What if it's already within us and we just need to acknowledge it...to allow it to foster (ferment) and grow (rise). Just a thought. Now the difficult part is to let it happen. And that may be the story (each of our own personal stories) thrown next to the story or the story within. At least it's something to think about. Separate the ingredients in two bowls using this ratio: In one bowl combine 4 cups of flour, the vital wheat gluten, and 2 cups of water. Stir it just until combined; cover with plastic wrap and set aside. 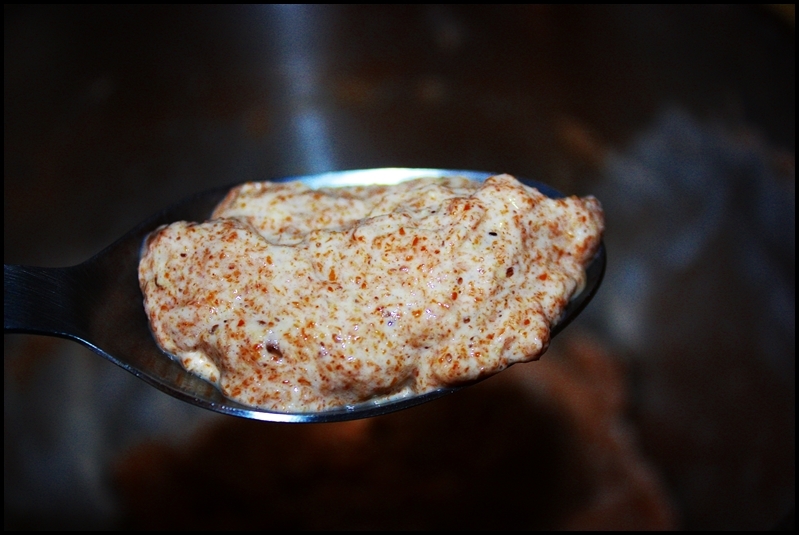 In a second bowl, combine the remaining 2 cups flour and 1 cup water and 2 teaspoons of yeast. Stir it just until combined; cover with plastic wrap and set aside. Allow the bowls to rest for at least an hour. After the ingredients have rested and have begun to ferment, combine the contents of both bowls to an upright mixer that is fitted with a dough hook. Also add the remaining ingredients: the salt, olive oil, honey, and remaining two teaspoons yeast. Knead the dough on medium speed for about 8 minutes, then cover with plastic wrap and allow to rise for one hour. 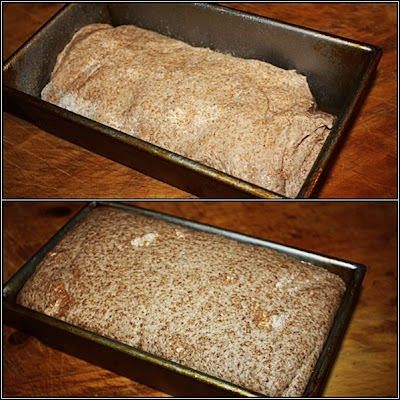 Transfer the dough to a work surface, cut it into two pieces, gently shape it into loaves, and place them either on a baking sheet or in loaf pans. Cover with plastic wrap and allow to rise for 45 minutes. Preheat an oven to 425F/218C. If making free-form loaves, slash them with a razor just before they go into the oven. Bake the bread for about 30 minutes, or until golden brown and sounds hollow when tapped on. 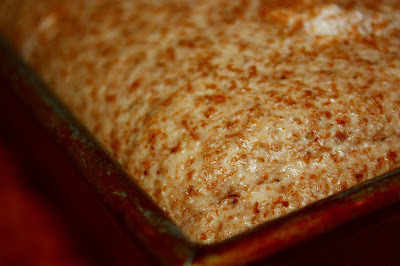 As the bread bakes roate the loaves in the oven once or twice to ensure even baking. Remove the bread from their pans and allow to cool for 10 minutes before slicing. Thanks for these words. I never really thought about "parable" and "parabola" sharing the same origin. It makes sense, something that attempts to illustrate a truth by tracing a path around it. It's a funny coincidence to read this tonight, as I baked bread today for the first time in a while (using your four ingredient rustic bread recipe). I always find it very grounding, a good way to reconnect with the Earth. I have a mixer with a dough hook but I always prefer to knead the dough by hand. I like the tactile experience of it and the sense of putting some work into the bread, and it seems like less of a hassle than having to set up the mixer and clean up afterwards anyway. Thanks Jesse. I agree, baking bread is grounding. And other than a gas (or electric) stove and possibly an electric mixer, the process is really pretty much the same as it was at the time the parables were written. The other thought that this post inspires: perhaps I am kind of weird about this, but fermentation in general has a strange sort of spiritual resonance to me. Maybe it's the continuity of sourdough starter or yogurt linking one batch all the way back to the first one, months or years ago. Maybe it's the way that one substance is transformed into another more pleasing and nourishing one, through an unseen but living agent. Maybe it's even the act of trust of deciding that you're going to intentionally let your food "go bad" and get contaminated with fungi or bacteria. I don't know, I'm not a religious person (just generally agnostic) but there's something about making bread or yogurt that really stirs up some mystical inclinations.